Winter on the Pocosin Lakes is a very special time. 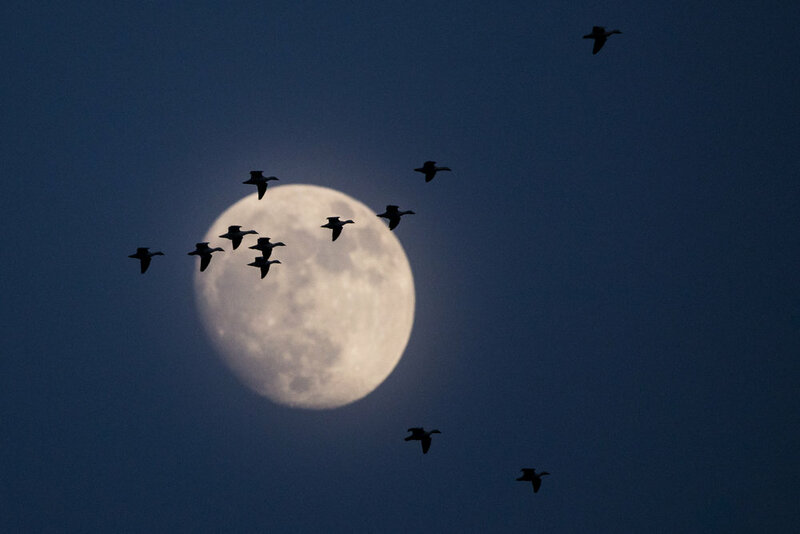 Hundreds of thousands of birds migrate through our region of North Carolina. 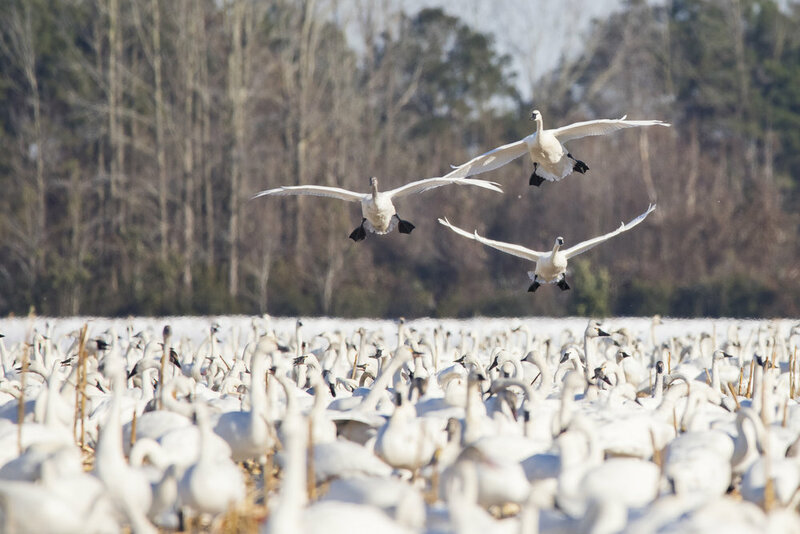 For a few months they call, the Pungo Unit of Pocosin Lakes National Wildlife Refuge, home. 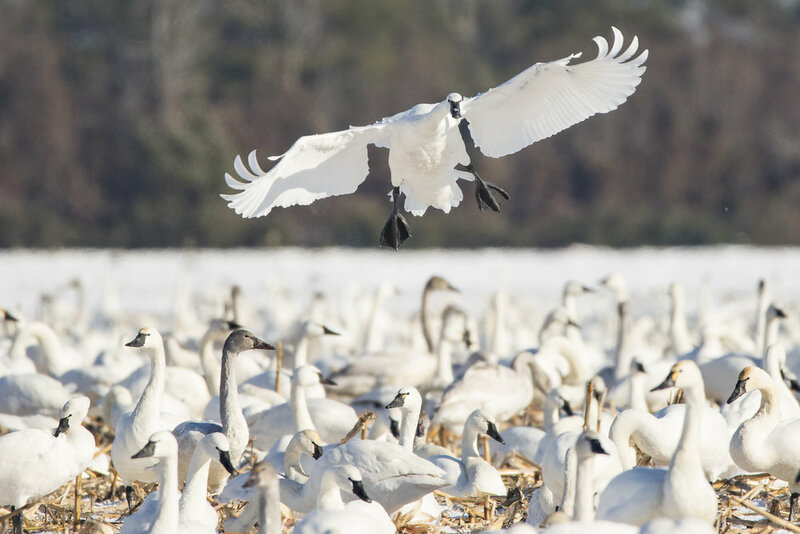 Migratory birds such as, snow geese, tundra swan, many different species of ducks, Red winged black birds and the predatory birds that prey on all of these species. 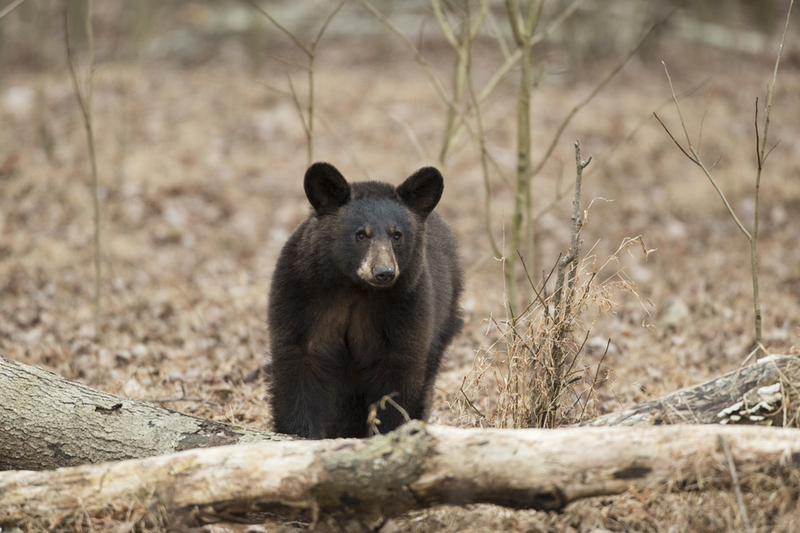 Most of the bear in the region are in a state of hibernation but you can still see many foraging in the woods and farmland that surround Pungo. Whitetail deer are in their breeding season (rut) when bucks are fighting for dominance over does. Marking their territory, by rubbing their antlers in trees and scraping the ground. Foxes, coyotes & wolves begin to target waterfowl feeding in the fields. Neil Jernigan will be leading three 1 day photography workshops at the Pungo Unit. Showing you everything he knows about wildlife behavior & wildlife photography. Understanding the animals and their behavior will help you create better photographs. For example; knowing just when to get ready before tundra swan decide to take off from their the flooded impoundement. Capturing their unique way of taking flight by running on the waters surface. Not only will you learn how to understand the wildlife, but you will learn how to create fine art portraiture of them individually and within their habitat. For the beginner and seasoned pro from sunrise to sunset, join Neil on a action packed, one day winter workshop. Space is limited so register quickly! If you have any questions please feel free to contact Neil with the form below. Deposit: $75 - non refundable. Lodging: NOT included, there are multiple locations in Washington, Belhaven and Plymouth, NC. Transportation: NOT included, At this time transportation is not available. Everyone will be encouraged to caravan and will follow Neil around the refuge. We will begin the morning at a predetermined location to photograph the wildlife/sunrise. Next we will move on to photographing wildlife until lunch. After filling our stomachs & warming up, we will head back to the refuge for the afternoon & evening. Sunset location will be determined more than likely by the wildlife we are photographing. In order to register for this workshop please first contact us either by email or by phone in order to inquire as to whether or not there is room. With only 6 participants, this workshop fills up quickly. A signed and completed registration form which will be emailed to you. A $75 deposit - NON REFUNDABLE. Once your registration and deposit have been received, you will be notified by email. The deposit is due within 2 weeks of notification of your intent to register for the workshop. The final installment is due 30 days from the start of the workshop. To sign up please scroll down and fill out the contact form. I will instruct you from there. Yes, the Pungo Unit is like a second home for me. I've been traveling yearly since I was just old enough to walk. I've been studying the wildlife there and photographing them since 2009. If for some reason you need to cancel, please contact me AS.SOON.AS.POSSIBLE. I will then go over the cancellation procedure. We will be photographing wildlife, some at close range and others at great distances. I recommend at least 200mm or greater. If you would like to contact me to let me know what you have I would be happy to help out. What animals will we photograph? The possibility of animals we could see are endless. But with wildlife photography nothing is guaranteed. We will however be targeting tundra swan, snow geese, other waterfowl & red wing black birds. If we are lucky, we will have a chance to see & photograph black bear. This workshop is during winter, so that means it will more than likely be cold at or below freezing in the mornings & evenings. The midday could be warm but I would bring light & heavy clothing just in case. Please dress accordingly. Are there any rest rooms nearby? The Pungo Unit of Pocosin Lakes is in a rural area. You will be about 15 minutes from the nearest bathroom & restaurant. I will make sure everyone takes a "break" before living in the morning. We will going to town for lunch and bathroom breaks. What equipment do you recommend to bring? Telephoto & Wide angle lenses, tripod, any photography gadgets that you normally would. I would rather need it & have it than need it and not have it. Thank you for your interest! We will respond to your email very soon!